Cosmetic dentistry has become more popular over the years with the improvement of dental treatment techniques and materials. Cosmetic dentistry involves the part of dentistry dedicated to improving the appearance of the teeth. A smile is an important part of someones appearance and having good teeth certainly helps. A cosmetic dentist can help you achieve the smile you have always wanted. A cosmetic dentist is usually a general dentist, orthodontist or prosthodontist, who is well-experienced in the aesthetic functions of their respective specialties and devotes extended time and attention to providing the best possible visual outcome for all of their dental services. After ensuring the functional effectiveness of a procedure, a cosmetic dentist then focuses on the fine details of the appearance aspect of a treatment. What procedures does a cosmetic dentist carry out? Dental procedures have the main objective of maintaining or restoring good oral health. Patients generally seek dental services in order to enjoy carefree and continuous use of their natural or substitute dental accoutrements. But many, if not most, of these patients are also concerned with the visual aspect of their mouth and teeth. Cosmetic dentists therefore seek to ensure that both the functional and the aesthetic expectations of the patient are met. Some dental patients are lucky to have had good oral health training while they were young, and these patients usually seek the dentist only for health maintenance purposes. But most other patients are either born with imperfect teeth or grew up without being properly trained on good oral hygiene and on gum and teeth maintenance. Simply put, genetics or personal circumstances and habits can lead to unappealing looking teeth. To address patient needs and expectations, a cosmetic dentist may, for example, recommend tooth polishing and/or tooth bleaching as an adjunct to a dental debridement not only because either procedure leads to better-looking teeth, but also because: (1) tooth polishing helps prevent bacterial plaque from attaching to the surface of a tooth; and, (2) tooth whitening removes food stains (from coffee or tea, for example) and chemical stains (from tobacco tar and nicotine, excessive fluoride, or certain types of antibiotics) which cannot be removed by dental debridement on its own. 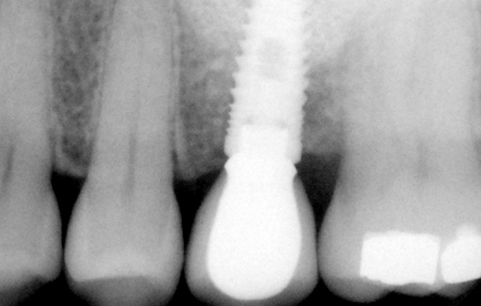 Another example would be an orthodontist who, after completing a successful alignment process with a patient that has taken months (or years) to finish, might refer the patient to a cosmetic dentist or to a prosthodontist for a tooth-reshaping or a crown-fitting procedure because dental braces can only move the teeth and cannot correct mis-shapen, cracked, or pitted teeth. Tooth reshaping, tooth bonding or veneering, as well as inlay, onlay and crown placement can address these conditions. Dental braces also cannot remove dental stains; and most patients who chose to wear dental braces are concerned not only with the alignment of their teeth but also with the condition and shape of each tooth. These patients usually later ask for cosmetic dental treatments from their orthodontist, who would then refer them to a cosmetic dentist or prosthodontist. It is also common knowledge that prosthetic dental crowns, dental bridges, and dentures whether tooth or gum supported, or implant supported, provide people with a gap-free dentition that prevents unwanted attention on their teeth during social activities. The cosmetic function of these devices are just as important as their dental function. A final example would be a general dentist who recommends a patient to a periodontist because the patient has an irregular gum line. Irregular gums make teeth look uneven because varying amounts of teeth surfaces are exposed. A periodontist and some cosmetic dentists can perform a minor surgical procedure that evens out the gum line, making sure that all the teeth surfaces are exposed proportionately. There are many other examples wherein a cosmetic dentist performs a procedure that complements a preceding dental implant treatment.. A cosmetic dentist therefore plays a vital role when it comes to helping patients get the perfect smile. A cosmetic dentist is a dentist which has undertaken additional training in cosmetic dentistry in order to carry out more advanced dental procedures. Generally speaking cosmetic dentistry is not taught at undergraduate level hence additional training is required after completing university. In the UK the British Academy of Cosmetic Dentistry (BACD) provides much training and support for cosmetic dentists. There are many cosmetic dentistry procedures that are carried out to improve ones smile. Having healthy gums is very important for any cosmetic dentistry treatment to work effectively. Gum disease is a very common problem that can lead to the recession of the gums causing the teeth to appear very long as the gums recede. Cosmetic dentistry includes teeth whitening, porcelain veneers, crowns, bridges and dental implants. 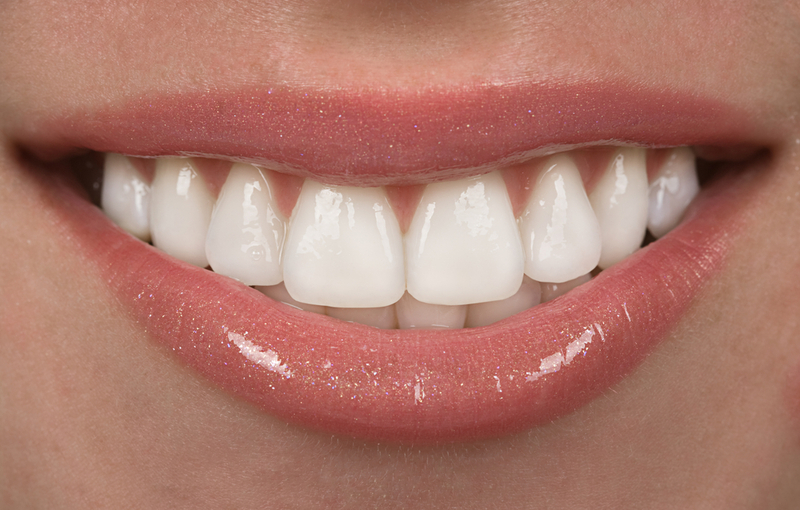 Dental veneers are specifically recommended for people with tooth discoloration and staining problems. Porcelain veneers are thin shells of porcelain which are bonded carefully to your natural teeth. Tooth discoloration, tooth wear and small flaws can be corrected with porcelain veneers. Teeth whitening treatment is primarily used to eliminate tooth stains and discoloration and can be done either in the Cosmetic Dentist’s office or even at home.